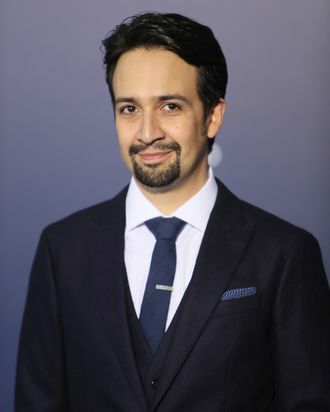 Since leaving his Broadway phenomenon Hamilton in July, Lin-Manuel Miranda has hardly slowed down, and he’s got the Mouse House to thank for it. He’ll soon fly to London to start filming the studio’s sequel Mary Poppins Returns, where he co-stars alongside Emily Blunt, but first he can celebrate the release of this month’s animated Moana, which features several songs penned by Miranda. Though Miranda’s work on Moana was only announced last summer, he secretly spent years on the project: Indeed, Disney chief creative officer John Lasseter and Moana directors John Musker and Ron Clements hired him before Hamilton became a hit. All involved are keen to continue the collaboration, and when Miranda sat down with Vulture yesterday, he divulged that he’s now collaborating with Zootopia co-director Byron Howard on a new animated film they are building from the ground up.